Our passion and strength is providing excellent care by assisting our clients to remain as independent as possible in the comfort of their homes. We support a dignified quality of life and a family`s peace of mind. 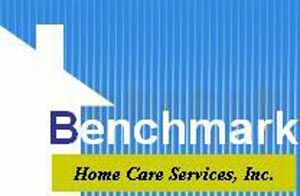 All of BENCHMARK Home Care`s caregivers are employees, not independent contractors. Everyone on our staff is surety bonded, liability insured and covered by Worker`s Compensation. At HomeCare by BENCHMARK, all administrative issues are professionally handled to allow you peace of mind to focus on your quality of life.